Custom wallpaper… any size, any image. Created by artists and designers for designers! Murals are making a strong comeback and NumérArt can help you personalize your very own. Choose your image either from your personal collection our from our image bank. We are image creators so if you cant find what you what we can make it for you ! PAINTOLOGISTS is a Montreal-based company offering residential, commercial and industrial painting and pressure cleaning services since 1986. Paintologists was established in 1986 with a clear objective to provide our clients with the best quality in materials, labour and service at very competitive rates. Because this continues to be our guiding principle, we have succeeded in building a reputation as a company that puts the client first. We take the time to do a thorough preparation in every job. Top quality finishes are then applied using top quality tools and equipment to ensure the best results and a high degree of customer satisfaction. We are a leader in providing value-added services to our customers by creating a successful partnership with our clients through the working process. Our pledge is to establish long lasting relationships with our customers by exceeding their expectations and gaining their trust through exceptional performance by every member of the Paintologists team. All jobs are handled with the same care and professionalism whether your project is a small room or office to a full house or building. No job is too big or too small. Every job is important. MURdesign styles your walls and ceilings with high-end decorative tiles and panels for modern, rustic, classic, industrial or chic look. As the exclusive distributor of WONDERWALL STUDIOS in North America, we are proud to be able to present all of their collections. WONDERWALL STUDIOS is a creative company with a vision; to deliver transformational wall panel solutions. Shunning mass production methods and staying well off the beaten track, they source the globe for unique materials, people and skills. They work directly with a global network of artisans, to select and repurpose the most characterful hardwoods the world has to offer. Exquisite natural texture and warmth meet contemporary design, investing walls with a soulful, architecural grace. We create. Our collections are and will always be inspired and conceived by what we observe and appreciate around us. The nature and the urban city lifestyles have been the inspiration and playground for our brand. We care. We take pride in offering only wood products originating from well managed forest allowing us to affix our green certification on each and every product we sell. We share. Since the beginning, we gather a community of designers, doers and free thinkers passionate for the natural elegance of our real wood product. We like to think that we all contribute to preserve the architecture, scenery and history with TIMBERWALL. Distributor of decorative indoors wall coverings. *Hunter Douglas Authorized Dealer* Located in the epicenter of the Montreal design community, Empire Papiers Peints & Peintures is dedicated to bringing you the quality you deserve in your home. We have the largest in-house stock of wallpapers in the province of Quebec, ranging from elegant European to cozy cottage. Still, don’t let our massive catalogue intimidate you: we are after all a Mom and Pop store! But don’t let our track record intimidate you, as a small mom-and-pop store, we believe in three simple things: choice, commitment, and style. Our huge selection of wallpaper catalogs from around the world will set your mind reeling. Our engagement to customer satisfaction is exemplified by our expert consultation and unmatchable prices. And our in-stock merchandise ranges from vintage European designs to the cozy cottage favorites, so there’s something for everyone! We welcome you to visit our office anytime with questions for our friendly and professional team members. Suite à l’achat par le propriétaire actuel, Pierre Ghannoum, en 1983, Empire Papier Peint (3455 Avenue du Parc) est devenu un foyer pour la communauté montréalaise d’art et de design en fournissant des produits et services aux firmes professionelles de design intérieur ainsi qu’à l’industrie vibrante du cinéma québecoise. Mais ne soyez pas intimidé par ce bilan! Empire Papier Peint est avant tout une petite entreprise indépendente qui offre un service basé sur le choix, l’engagement et le style. Notre sélection extensive de catalogues de papier peint provenant de partout dans le monde vous fera rêver. Notre engagement à la satisfaction de nos clients est soutenu par nos conseils d’experts et nos prix imbattables. Notre marchandise en stock comporte une étendue de style qui plaira aux goûts uniques de chacun de nos clients. N’hésitez pas à nous visiter dans nos bureaux: vous y trouverez des réponses professionelles et sympatiques à vos questions. 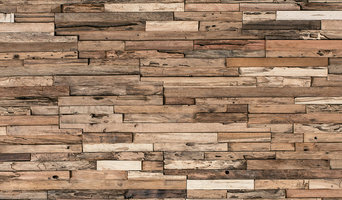 WoodBox Factory offers superior quality wall coverings at affordable prices. Enhance the decor of your home with originality by adding a touch of luxury and elegance with WoodBox Factory’s pine covering. Choose a covering from a wide array of colours that will perfectly match your decor. For over 20 years, Lumigraf has supplied the design community with eye catching decorative resin panels. Lumigraf's products can be found in major casinos, shopping malls, hotels, offices, restaurants and night clubs throughout the world. A Benjamin Moore independent retailer, who also deals in wallpaper, fabric, re-upholstering, flooring, tiles and natural stone, faucets and vanities, bathroom suites and so much moore. ASP Management provides the highest quality Self Adhesive wall tile for the most competitive price. Our styles are always current and our product is guaranteed! Conceived from humble beginnings, Blue Mountain Wallcoverings was acquired from the classic paint and wallpaper company Color your World in 1990. Over the years, the landscape of Blue Mountain has changed from a 2-gravure press, operating 24 hours a day, to maintaining the largest wallpaper manufacturing facility in North America. 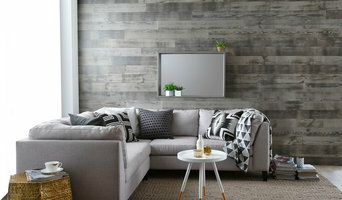 Through numerous expansions, since it’s inception, Blue has grown to become one of the largest and the most innovative manufacturer and distributor of wallpaper in North America. Our roster of is made up of the worlds most recognized name brands and licenses, Blue is committed to strengthening it’s position as an industry leader. By applying over two decades of experience to develop, cultivate, manufacture and distribute at the highest standards of excellence. It is our commitment to bring you the latest in cutting edge design, bold color palettes, and the latest trends in home décor. Here at Blue, the sky is the limit; it’s our mission to wallpaper the world, one home at a time. ZEST is a digital art gallery of contemporary images and murals for an urban clientele. It was created specifically for designers, architects, real estate developers and clients who favor contemporary artwork to enhance their interior design. 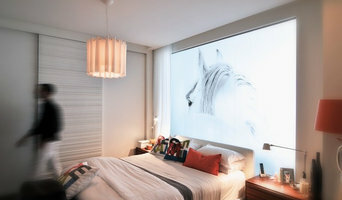 ZEST's unique offer allows designers to request images in a specific colour scheme to compliment their design. Custom pieces can also be created for clients who prefer original artwork using their own personal images. Choose between three formats which can be printed on different media, such as, canvas, plexiglass, interchangeable canvas, aluminium and LED frames. Artwork can be shipped anywhere in North America. ZEST digital artwork is created by Montreal advertising creative, art director & designer Jacqueline Zegray, in response to a need for affordable, customizable and contemporary artwork. Paint and wall covering contractors are experts in the specs, application and removal of paint, wallpaper and other wall coverings. They can help you choose the paint color and finish, wallpaper style or specialty covering that best suits the needs of your Montreal, QC home, whether the job is for the interior or exterior. In addition, they can strip off old paint or paper and prepare surfaces through sanding, skim coating and other processes. Many can handle decorative paint treatments and materials such as plaster. 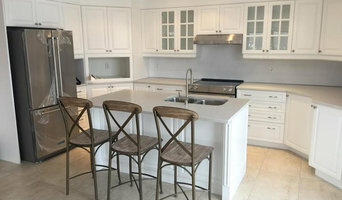 A paint and wall covering contractor might work closely with Montreal, QC interior designers, builders and others, too. Here are some related professionals and vendors to complement the work of paint & wall covering dealers: Interior Designers & Decorators, Artists & Artisans, Window Treatments, Carpet Dealers. Find a paint and wall covering contractor on Houzz. Narrow your search in the Professionals section of the website to Montreal, QC paint and wall coverings. You can also look through Montreal, QC photos to find examples of paint jobs and wall coverings that you like, then contact the professional who worked on them.